What is VECTORED ARTWORK? 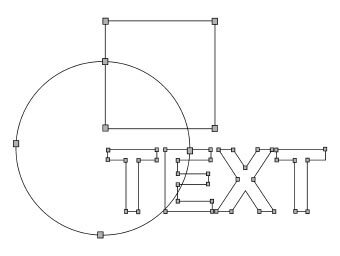 How do VECTOR GRAPHICS work? Most T-shirt printers ask for vectored artwork! Supplying vectored artwork isn’t that easy if you're not adverse in producing artwork in Adobe Illustrator or CorelDraw. These are the main programs that are used to produce vectored graphics throughout the UK if not the world. SO WHAT ARE VECTOR GRAPHICS? Vector are an amazing graphics format. CorelDraw and Adobe Illustrator give you the ability to create graphics that are fully scaleable and can be enlarged and reduced to any size without the loss of any quality in the image. Fonts are also fully scaleable and will not break up no matter how large you scale up. Ideal when you need your logo or design in various sizes on your printed t-shirts! Vectors work by plotting one point of an image to the next point, whist building up information of the outline or fill colours and styling. Vectors designs are also now used on the Internet where a scaleable design is required, very handy for reactive websites where the images are re-scaling to fit different size devices, e.g. desktop PC to mobile phone. 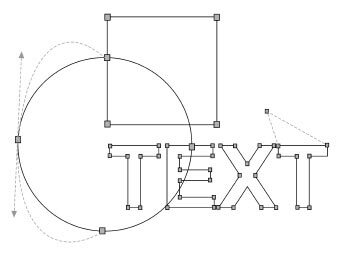 A vectored image being used on the Internet is saved as a ‘.SVG’ file format ‘scaleable vector graphic’. 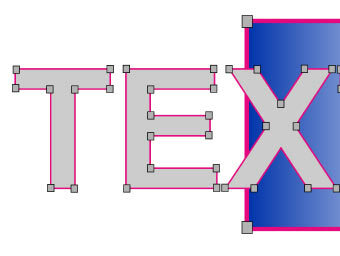 Vector example 1: Showing point of information. Each point holds a small amount of data linked to the next point. Vector example 2: These points can be edited in many ways. The ability to manipulate the image is controlled and precise. 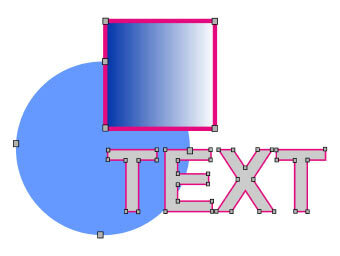 Vector example 3: Each object or text can be filled with a colour as long as the points are closed. 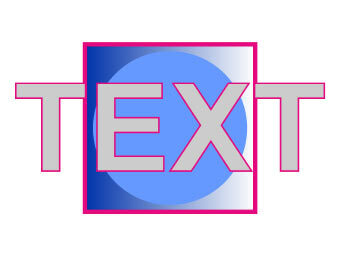 Vector example 4: Outlines and fill patterns can also be added to the images. Outlines can be of various thickness. 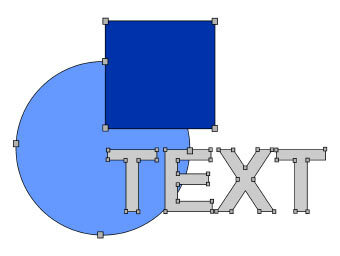 Vector example 5: Objects can be moved around, also you can bring an object in front of or behind another. Vector example 6: Scale the image up and down to your chosen size without any loss of quality. 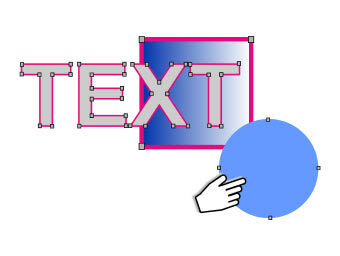 Vector example 7: Move and align your elements to suit your design. Any editing nodes will be removed once you click off them.